We finished off last half term with a class wedding! 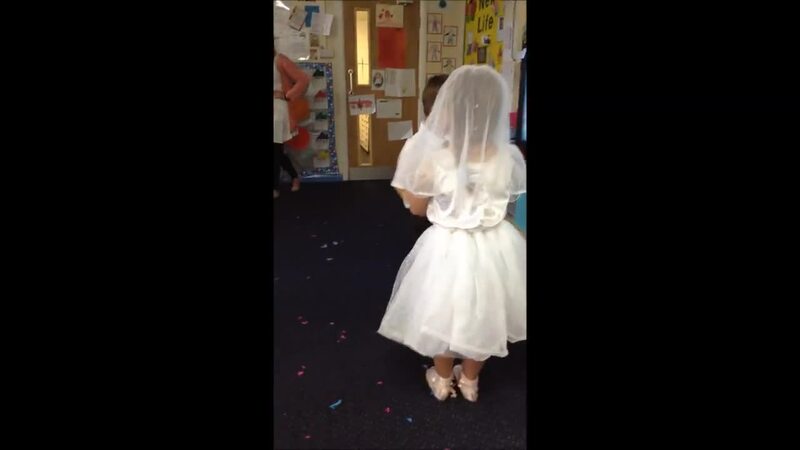 The children took part in a vote and voted for the bride and groom. Kadie and Harry! They then decided on bridesmaids, made invitations, decorations and buns! The children had a fantastic time and have made memories to last a life time. Congratulations to new Mr and Mrs Jackson. Please see below for the videos. We are ready to explore new life! We can't wait to see our tadpoles grow into frogs, watch our sunflowers grow and find out what is going to hatch from our eggs! We are busy getting stuck into our new topic! We have been learning all about the 3 little pigs, building houses and exploring materials. In our classroom we have an incubator full of eggs, we're still busy guessing what is inside them! We also have tadpoles and are watching them grow everyday waiting to see which will be first to become a frog! This half term we will be learning how to double, half and add and subtract and will continue to recognise numbers to 20 and beyond. We are also still working on our number formation daily. The children are continuing to work on their sentence writing and are making lots of progress. Keep a look out for pictures that are added regularly to keep you up to date on all the fun we are having in Reception! This summer our outdoor area has undergone extensive work.The staff and children have spent lots of time and effort in making the outdoor area a rich learning environment. We have had a lovely member of the community donate their pirate boat to School for the children to take part in fantastic role-play activities. 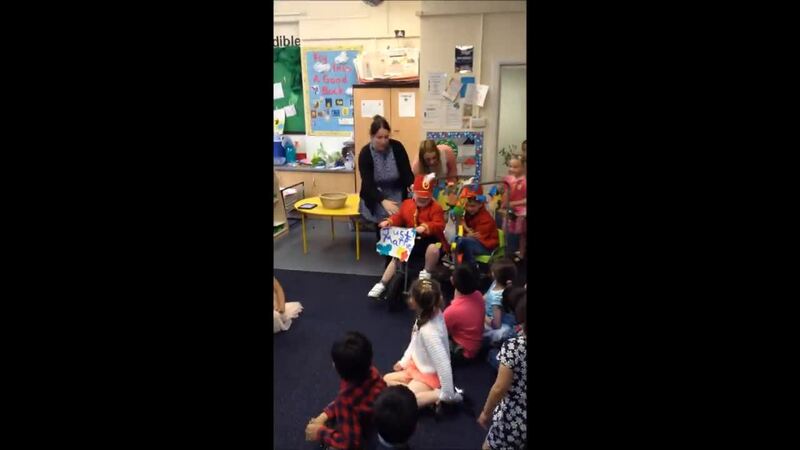 We had a brilliant open day in which both parents and Josh attended and we would like to thank you all for this. The door is always open if you have any questions or queries please pop in and speak to the Reception team.